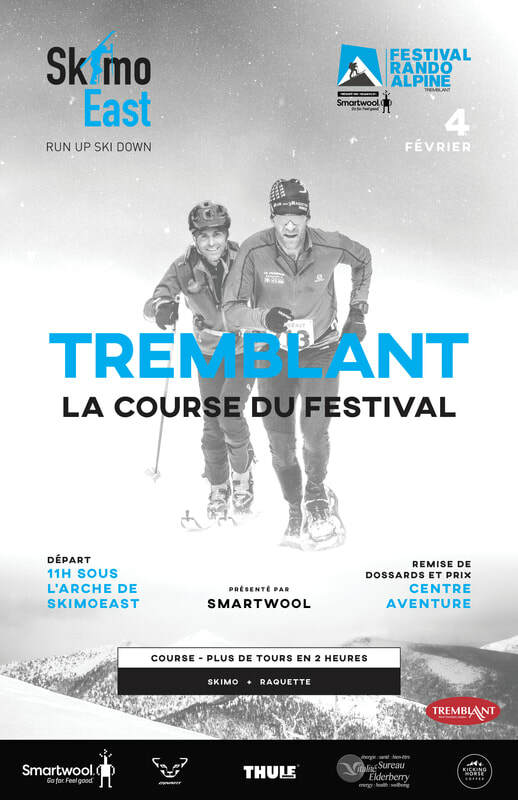 The course du Festival is a race that is part of the Mont Tremblant Festival Rando Alpine. The race can be done on skis (skimo) or in snowshoes. Presented by Smartwool, the long course will consist in doing a maximum of loops in two hours (probably 3 for the race winner). Each loop has about 1 600 ft. (500 m.) and two really steep boot-packs. 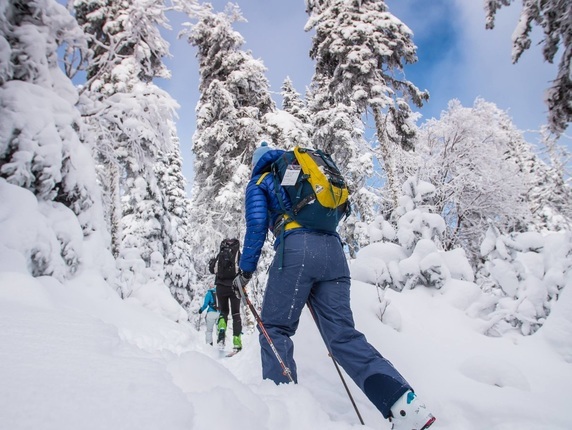 ​Skiers and snowboarders with gear weighting over 12 pounds (skis, bindings and boots or splitboard and boots) can subscribe in the ski-rando / splitboard category and will have their own classification and podium. You want snow? Come race with us at Mont Tremblant! The race can be done on skis or snowshoes - NO RUNNING SHOES. Skimo challenge Jay Peak is part of Smartwool-SkimoEast championship and as such point will be awarded for the general classification. 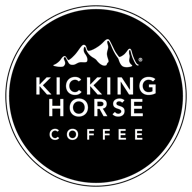 Distance : About 4 km per loops. Elevation gains: about 500 m per loops. From T5, skin up in the forest to T1, the first boot-pack transition. 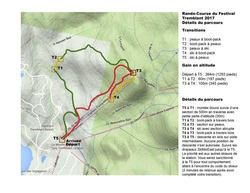 Put the skis back on at T2 and climb up to Mont Tremblant summit at T3. A short descent follows to another steep boot-pack section before skiing down all the way to T6 to finish the race or start another loop. The following video will give you a good idea of the race and the festival.